No need for x-ray vision to see what's in these bags! 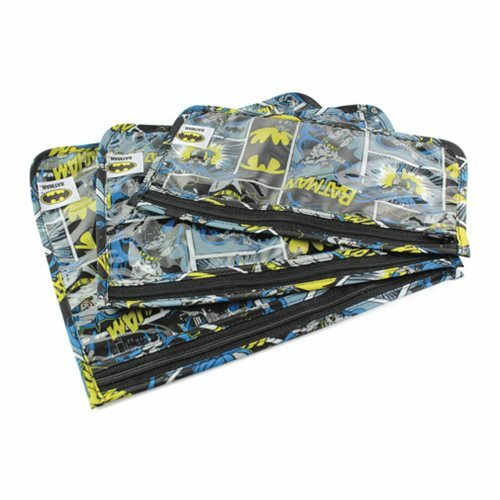 Lightweight with a clear front, these Batman Clear Travel Bags are TSA compliant and stash easily into carry-on bags. The set is made up of three bags in different sizes, making packing and organizing easy. They are made from Bumkins' easy-wipe, stain and odor-resistant, waterproof fabric with a catch-all pocket. Spot clean only. Ages 13 and up.